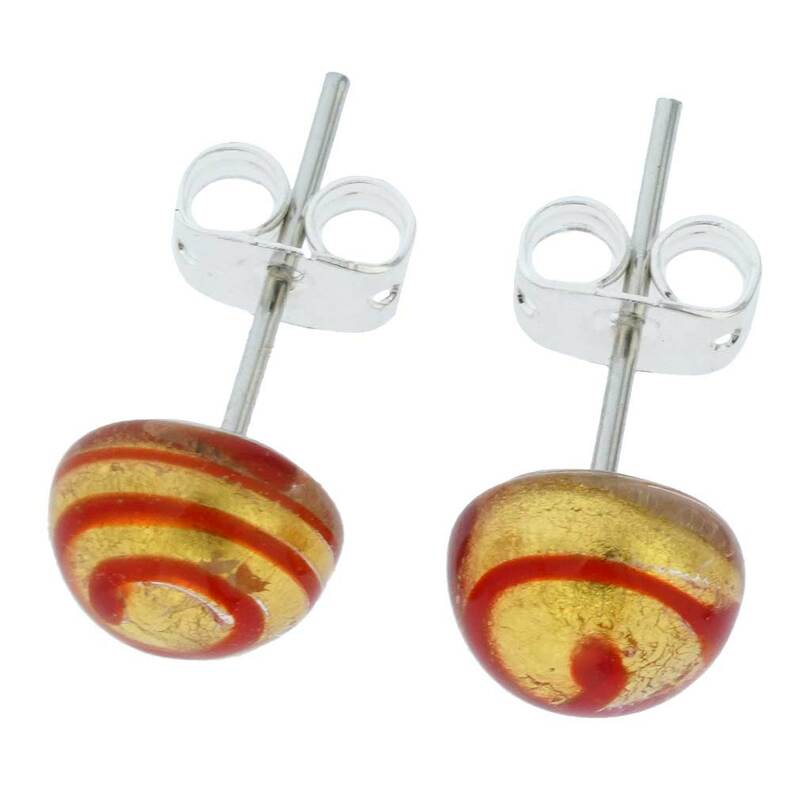 These trendy Murano glass earrings stand out with their gorgeous deep hues, trendy sparkles, and amazing patterns. 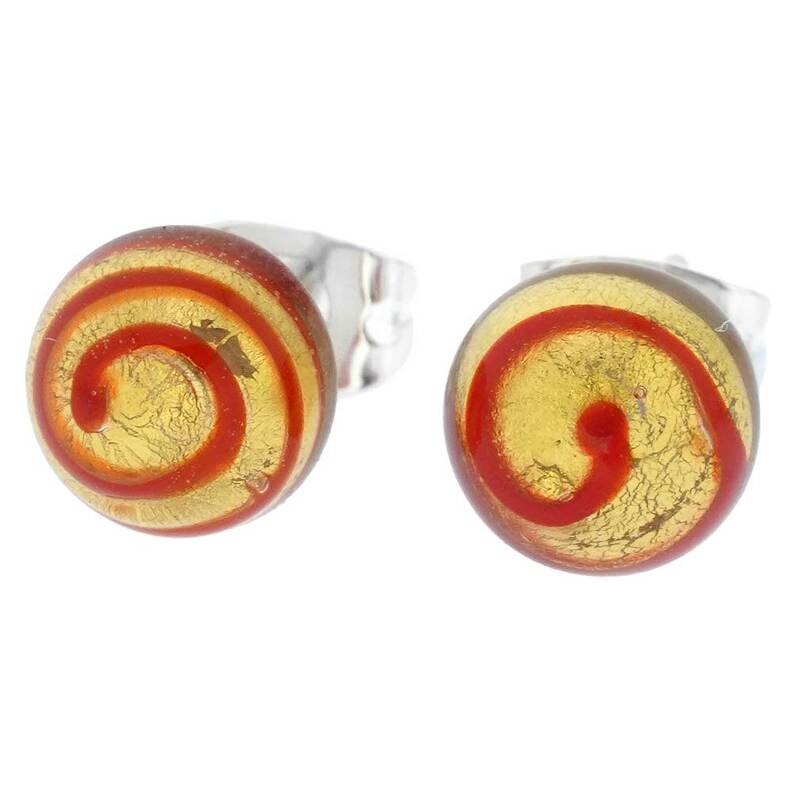 Using only basic instruments and centuries-old glassmaking techniques, Murano Glass masters handcrafted these stylish earrings that reflect the uniqueness and beauty of Venice. 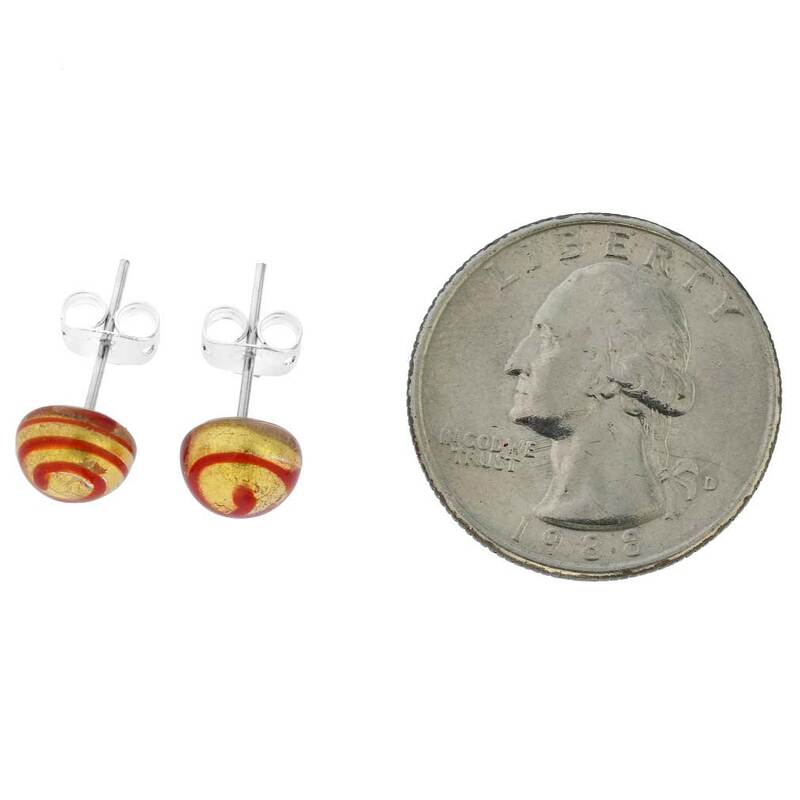 Each Murano earring measures 5/16 inch in diameter and the pins are silver-plated. 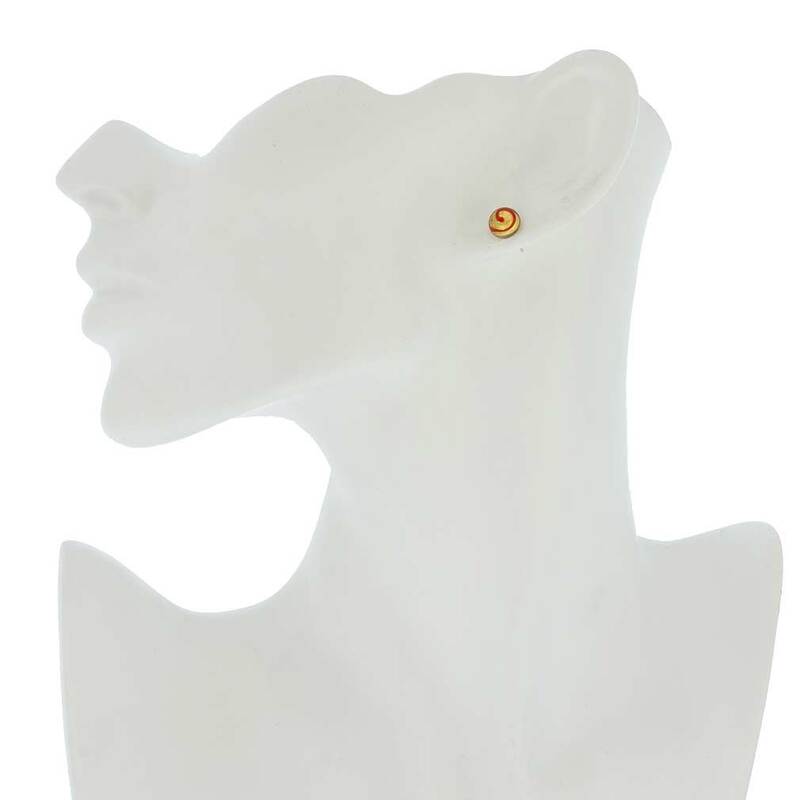 The Venetian earrings come with an attractive velvet pouch and the certificate of authenticity. Very pretty, petite and simple.